Are you a very good negotiator? Dickering at yard sales; resolving labor disputes or negotiating contracts and coming out on top? Hats off to you if you are gifted at it because it is a real art; not one for which I have particular affinity. There is a guy in the Bible, however, who was a master negotiator in prayer and his name is Abraham. Besides being the father of our faith, he was a great diplomat and arbiter. What made God suppose Abraham would give a fig about this well deserved judgment ready to fall? In fact, why wouldn’t Abraham applaud God’s decision rather than desire to change it? 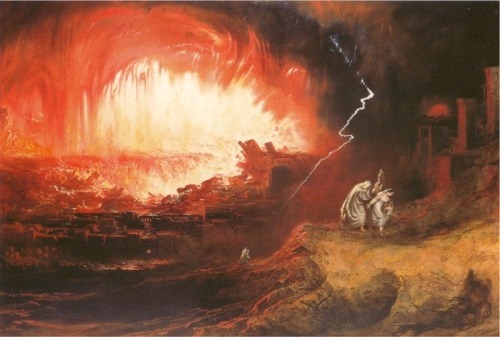 Of course, for one thing, Abraham’s nephew Lot lived in one of the cities, Sodom. Certainly Abraham would want Lot and his family to be protected and delivered from the fiery wrath. Abraham could have simply asked for the safety of his nephew but he never mentioned that to the Lord. Instead, his heart of compassion cried out for ANY in the city that were righteous and who would perish along with the wicked. Abraham’s negotiated intercession for Sodom and Gomorrah certainly qualifies as one of the great prayers of the Bible. It is unusual because it is interactive and we get to hear the back and forth between him and God. It is worth our study and emulation. “Would You also destroy the righteous with the wicked?” (Verse 23) This is our first lesson if we would aspire to negotiate with God too. Abraham knew the kind of God he was serving. Do you also know God in this way? The more we have intimate fellowship with the Lord, the more we know his qualities, his character and his nature. When we intercede on behalf of ourselves, our family or our nation, we should likewise solicit God’s attention by proclaiming all we know about him to be true. Our proclamation has a great advantage. All of heaven hears and agrees with us while the kingdom of darkness trembles in fear that they are about to lose a battle. “I will not destroy it on account of the ten.” (Verse 32) This exchange showed as much about the heart of Abraham as it did about God’s. The degree to which we will press God for something reveals our own heart too. How much do we want it? How much do we want God’s will done upon the earth? Remember that the truth is that God wanted Abraham to negotiate for the city. He instigated Abraham’s pleadings by revealing to him what he was about to do without them. Likewise, if you have ever felt a prayer “burden” for someone or something, God is instigating YOU to negotiate with him. We often think that when we struggle mightily in prayer we are battling against God to relent and give us our petition. That is not accurate. God sends the burden so that we will struggle to press that his kingdom come and his will be done on the earth as it is in heaven. God prompts our prayer, hears our prayer and then answers our prayer. It is his good pleasure to do so. Abraham was willing to be used of God to avert judgment on cities in his time. Later in Israel’s history, the Lord was again looking for one like father Abraham but he looked in vain. Is God on the lookout once more for a few great negotiators for this season in history? Just think of how well deserved judgment is today for many cities across the world. Deserved, yes, but is that what God really wants? Before he pours out wrath, what if he decided to tell YOU? Would you respond as Abraham and begin to negotiate? Would you proclaim the Lord’s justice and beg for his mercy? Would you press in until you had secured the answer? Yes? Maybe we have another master negotiator among us!